KleenGuard Personal Protective Equipment (PPE) enables rather than inhibits – allowing for maximum productivity and safety for you and your employees. 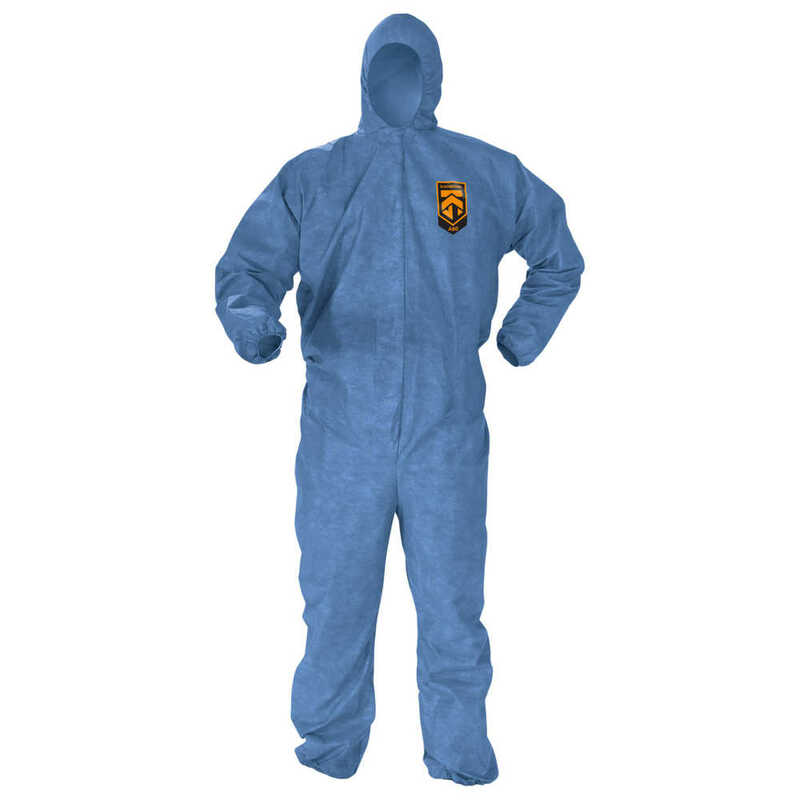 When you have a sensitive job to tackle – like working in a crime lab, crime scene cleanup, forensic uses, embalming, research and emergency medical response – the Kleenguard Chemical Resistant Suit (A60 Bloodborne Pathogen & Chemical Splash Protection Coveralls) is a great solution. They are designed to protect the wearer, as they pass the ASTM F1670/F1671 test for penetration of blood, body fluids and bloodborne pathogens, and they provide protection against some chemicals (chemical protection suit). They feature the Reflex Coverall Design, which provides a fuller cut for added range of motion, are 7.5 less likely to rip out (vs. ANSI minimums), are 6% longer body length and 12% more chest room. This model comes with a zipper front (with storm flap), and elastic hood, back, wrists and ankles. Making the right Personal Protection choice is difficult. Perform with distinction with KleenGuard Personal Protective Equipment (PPE).